Former New York City Mayor Rudolph Giuliani went to Turkey to meet with the country’s president and sought meetings with U.S. government officials in an attempt to end U.S. prosecution of a wealthy Turkish gold trader charged with conspiring to violate U.S. sanctions on Iran, Manhattan federal prosecutors said. The moves were disclosed in a letter on Friday to U.S. District Judge Richard Berman, who is overseeing the case in which the trader, Reza Zarrab, is accused of conspiring with others to conduct illegal transactions through U.S. banks on behalf of Iran’s government and other Iranian entities. In the letter prosecutors said Giuliani and former U.S. Attorney General Michael Mukasey – both recently added to Zarrab’s legal team – traveled to Turkey shortly after February 24 to meet with Erdogan to discuss ways to end the prosecution. Giuliani informed the office of Attorney General Jeff Sessions about the planned trip, according to the letter. 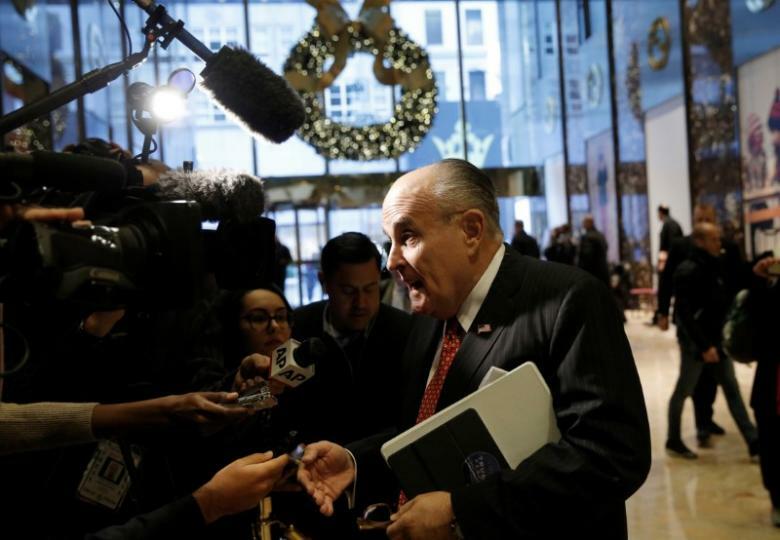 Acting U.S. Attorney Joon Kim in Manhattan said that Mukasey and Giuliani, who is a close ally of President Donald Trump, had also sought to meet with other officials in the U.S. government on the issue. “Mr. Giuliani and Mr. Mukasey’s efforts are aimed at reaching a disposition in the case,” Kim wrote in the letter. Kim has sought to question whether Giuliani and Mukasey should be allowed to represent Zarrab given the potential conflicts of interest. Zarrab allegedly victimized at least eight large banks which are current or former clients of Giuliani and Mukasey’s law firms. “That information quite frankly is none of the Government’s business,” Brafman wrote.